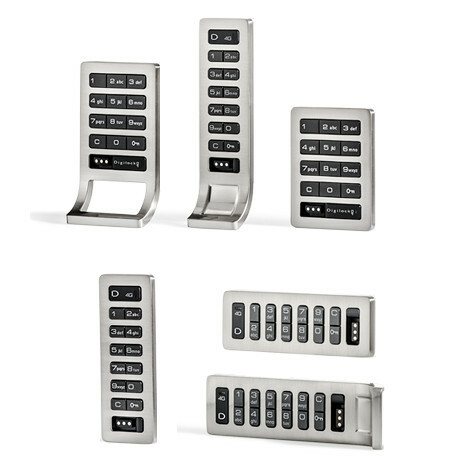 Digilock keypad locks provide ultimate locker security with the simplicity of a 4-digit user code. Features a 3/8” (9.5 mm) solenoid springbolt (shared use). 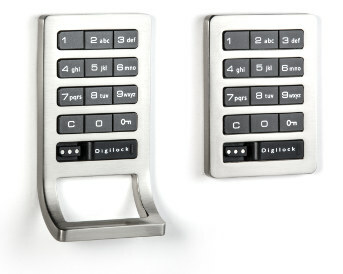 Features a 1/2” (12.7 mm) motorized deadbolt (shared use) or 1/2” (12.7 mm) motorized deadlatch (assigned use). Features a 1/2” (12.7 mm) motorized deadbolt (shared use) or 1/2” (12.7 mm) motorized deadlatch (assigned use). Audit trail capability is provided with lock management software. In assigned use functionality, a 4-digit User Code is assigned to operate the lock. 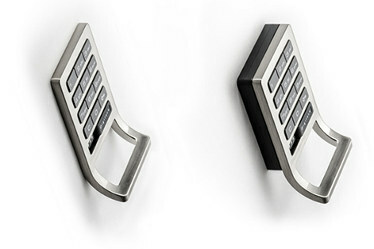 The user enters the assigned User Code to unlock and closes the door to automatically lock. Management staff operates the lock with either the Programming Key unique to the lock system, or any registered Manager Bypass Key. In assigned use functionality, the locks have a green LED usage indicator. With a surface mount installation, the front and rear units are joined by connector pins. The front unit of the lock sits visibly on the door surface. With a recess mount installation, the front and rear units are joined by connector pins. The front unit of the lock sits down in a space routed on the door. 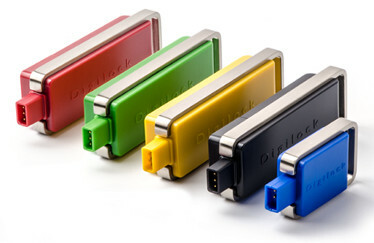 All Digilock models can be operated with an Accessibility User Key to meet compliance guidelines. The Accessibility User Key is fully compliant with the Americans with Disabilities Act (ADA) guidelines set by the US Access Board. Digilock recommends obtaining Accessibility User Keys for 5% of the total number of installed locks.